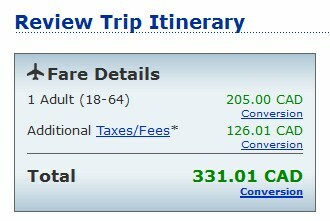 United Airlines just dropped their Winnipeg - Denver, Colorado flights down to $331 CAD roundtrip including taxes for travel in much of 2015 and the first few months of 2016. The typical bottom price is around $500. The flights are non-stop. Update 1 - April 29 @ 3:39 PM - It looks like United may have sold out of the cheaper fares. Delta seems to have responded with a similar price drop, but they have a stop in Minneapolis. 2. Click the little bar graph icon underneath the return date search box. Adjust the length of travel at the bottom. 3. Keep clicking until you get to United's website for booking. For live discussion of this deal, or to get some amazing travel advice (to anywhere) from your 7,536 fellow travelers in Winnipeg, join us in the YWG Deals Facebook Group. winnipeg, ywg, flight deals, united states, denver, colorado, united airlines and north america.